A dazzling how-to adventure for young artists and writers "Playful, artful, and at times, profound..." -Linda Booth Sweeney, EdD, author of Connected Wisdom, Living Stories About Living Systems. Celebrating the natural world and its symbols, Dreams to Dance in Moonlight is a playful way to nurture the creative spirit in all of us. It asks, "How does your imagination bloom?" and the story will fire up a dialogue between children, parents, and teachers. With visual-thinking strategies for drawing and writing, this book offers lyrical prose and painterly riddles to engage young readers, while its magical creatures and environments call for inventive attention and stewardship. Beautifully illustrated with the author's "dreamy...evocative" (School Library Journal) paintings, every page contains a story. 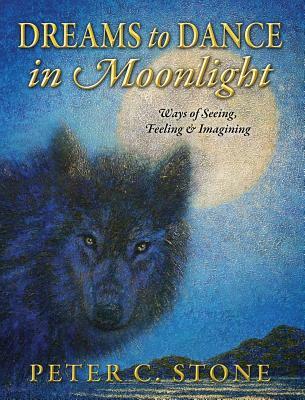 Wolves, tigers, cows, and condors stare back from gorgeous landscapes, challenging readers: When is what you see much more than what you think you see? When you awake "This simple yet profound book of poetry, imagery, and challenge will serve as a portal through which a child may become reacquainted with his or her imagination that may one day develop into a mature and confident enthusiasm. "-Peter S. Dean, Professor of Nature-Culture-Sustainability Studies, Rhode Island School of Design. Peter C. Stone is an author, artist, and educator. His work explores the evolutionary wisdom and interconnectedness of endangered creatures, cultures, and ecosystems. Since 1983 he has presented more than 50 solo shows and over 100 group exhibitions at galleries and museums in the United States, Canada, and England. His Art & Science Journaling Workshops (STEM to STEAM) bring his contagious enthusiasm for observing the natural world to students of all ages. His previous book, Waltzes with Giants, The Twilight Journey of the North Atlantic Right Whale (Skyhorse 2012), is a Selection of the Children's Book-of-the-Month Club. Visit Peter's website at www.petercstonestudios.com.